It is the season of homemade gift giving and I’ve been having a lot of fun in my kitchen, so here are some ideas to help you get started having some fun too! I’ve already shared a great recipe for savory homemade gifts, now here are my ideas for simple and sweet homemade gifts. No matter what you decide to give, I can guarantee your friends will love the sentiment of a homemade treat that you made just for them. Apple Chips: These tasty fruit trips are super sweet and are easy to make. They are the perfect gift for children and adults alike. 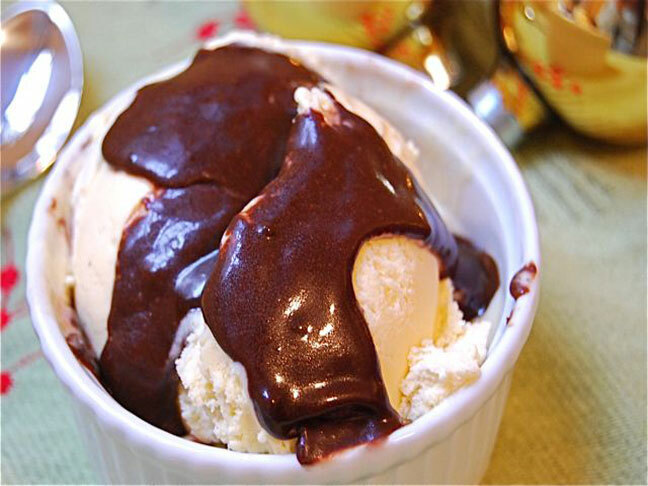 Peppermint Hot Fudge Sauce: This simple sauce is easy to make and give away in jars for holiday gifts. Everyone will want to make a sundae the minute they taste it. Tangerine Mango Fruit Leather: This is a great homemade holiday gift for kids to make to their friends. They can even take them to school for snack! Chocolate Matzo Candy: This tasty candy is perfect for the holiday season and is healthier than any storebought version. Chocolate Coconut Macaroons: Chocolate Coconut Macaroons are a great everyday cookie that work well at Christmas. Nobody ever complains about extra chocolate cookies!